Many credit D.C. as the home of disagreement and gridlock in our country, but there is one thing we can agree on here no matter what -- I scream, you scream, we all scream for ice cream. Our area boasts an incredible variety of dessert spots, but no matter the current trend - I’m looking at you, artisanal doughnuts - ice cream will always be the perfect summer treat. Whether you’re a fan of simple vanilla or an adventurer who orders unorthodox flavor combinations, ice cream cools down the hot summer days and satisfies your sweet tooth. 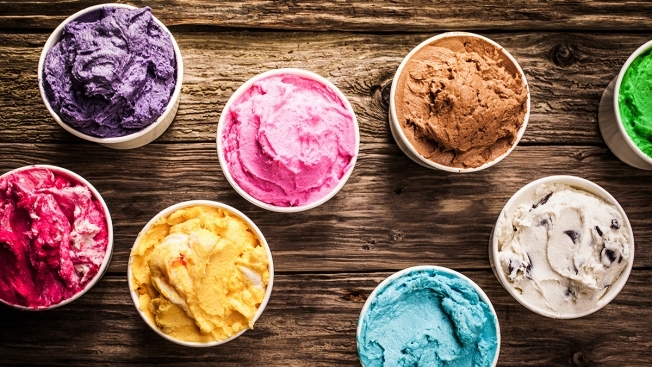 We’ve gone through painstaking research to find the most delicious ice cream spots around for you to try this summer. Thomas Sweet -- Thomas Sweet has kept its Georgetown storefront busy for years with a wide variety of flavors and generous portions. They offer numerous flavors of ice cream, frozen yogurt, fudge, baked goods, coffee and even paninis. Customers rave over butterbrickle and coffee cookies and cream flavors, sundaes and fudge -- and the Obama family sightings. If it’s good enough for President Obama, it’s good enough for us. Thomas Sweet is located at 3214 P St. NW in Georgetown. Pitango Gelato -- For the worldly ice cream lovers, gelato offers a denser alternative with nontraditional flavors. Pitango Gelato entices visitors to their three D.C. locations with flavors such as creme fraiche and mojito alongside other creamy and fruity classics like chocolate, vanilla and mango. Pitango Gelato has three locations in D.C. - Logan Circle (1451 P St. NW), Penn Quarter (413 7th St. NW) and Capitol Hill (660 Pennsylvania Ave. SE). Moorenko’s Ice Cream -- Using hormone-free dairy from Pennsylvania and small batch production, Moorenko’s provides customers with a wide variety of ice cream made right. Honey lavender refreshes on hot summer days, while moka chocolate chip satisfies those looking for something more decadent. Moorenko’s also offers sorbets and seasonal flavors, baked goods and pints for sale. Look for the bright blue Moorenko’s sign at 8030-B Georgia Avenue in Silver Spring. Simple Pleasures Ice Cafe -- Though Simple Pleasures offers lunch and brunch, their standout is ice cream. Owners use seasonal fruit and imported flavors to create rich, creamy and unique treats in small batches. Customers flock to the intimate store for flavors such as stracciatella and lemon drop, generously portioned sundaes and five-scoop samplers. Find Simple Pleasures in Historic Old Bowie at 8519 Chestnut Avenue. Nielsen’s Frozen Custard -- A longtime favorite for locals, Nielsen’s gives customers custard-induced nostalgia with their creamy treats and old-timey decor. Order custard with toppings and sauces, concretes or cones made in-store. Seasonal flavors and classics keep this Vienna spot busy. Nielsen’s is located at 144 Church St. NW. The Dairy Godmother -- The Dairy Godmother specializes in frozen custard, offering unique flavors that change all the time. Another favorite of the Obama family, this quirky shop serves up custards with tons of toppings, sundaes, ice cream sandwiches and even treats for dogs. Custard flavors are consistently chocolate, vanilla and a flavor of the day. Check the flavor forecast before visiting to ensure you can try one you’ll love. This Alexandria staple is located at 2310 Mount Vernon Ave. Whether you opt for custard or ice cream, a cone or a concrete, you can always find something cold and delicious in the D.C. area. Give these fan favorites a try and let us know where you turn to when your sweet tooth is aching this summer. Happy scooping!